Grouped into contacts ✔ Multiple emails from the same person only appear once. Social and promotional emails cluttering your inbox? Delete them all at once, then block them to never hear from them again. 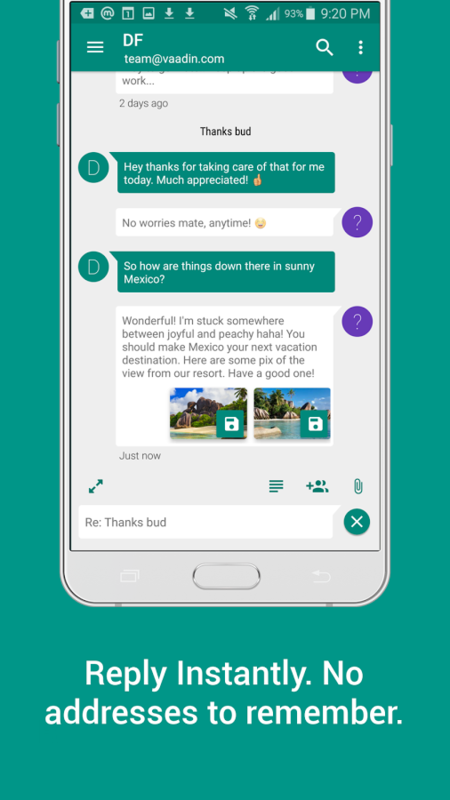 Respond instantly ✔ Emailing with Meldmail feels just like texting. Spend less time remembering addresses and more time writing messages. Multiple accounts ✔ Personal. Work. Business. Add as many accounts as you like and manage them all from Meldmail. Compatible ✔ Meldmail uses the industry standard IMAP & SMTP protocols, and works with all popular email services including Zimbra, Gmail, Yahoo, Outlook, Office 365, Yandex, Zoho, GMX & iCloud. Exchange support is coming soon. 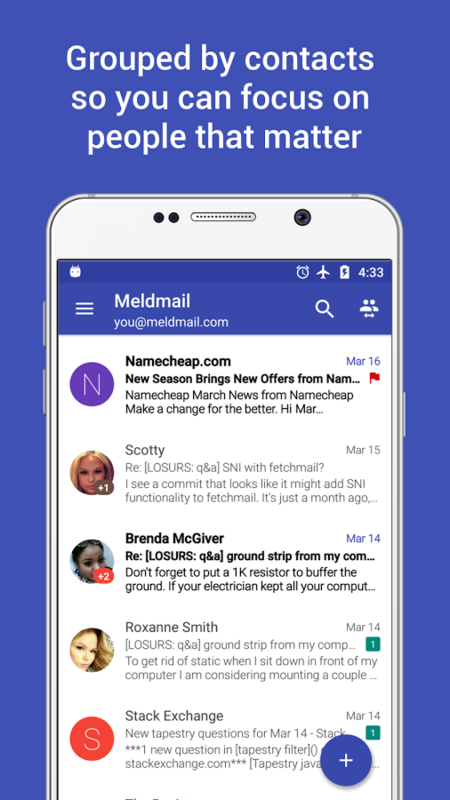 Secure ✔ Meldmail works right from your phone. Your emails are never shared, stored or processed remotely by us or our partners.